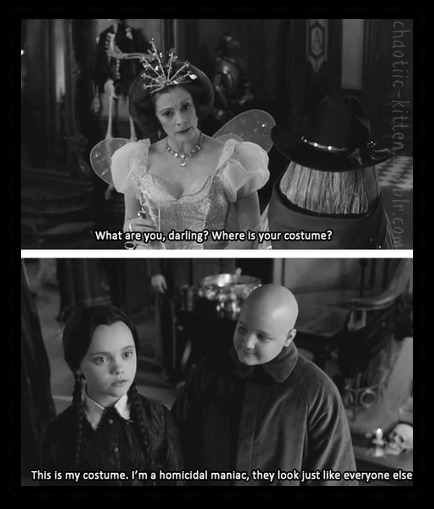 I love quoting from my favorite movies. It’s like a secret language that only you and those who love that particular film can understand. The joy is one line can transport you back to that moment in time and creates an instant connection with fellow film lovers. On a recent trip to visit family, watching the Michigan game and sharing stories, as usual, my cousin quipped, “the sheriff is near..” and we all broke out laughing visualizing the scene with Clevon Little from “Blazing Saddles”. So, taking the secret language idea a little further, I decided to showcase some of my favorite monologues from some of my favorite films. Bill Murray was in rare form in this classic 1980 sports-comedy hit. Directed by Harold Ramis and written by Brian Doyle-Murray, Ramis and Douglas Kenney, it stars Michael O’Keefe, Chevy Chase, Rodney Dangerfield, Ted Knight, and Bill Murray. This was Ramis’ first feature film and was a major boost to Dangerfield’s film career; previously, he was known mostly for his stand-up comedy. Grossing nearly $40 million at the domestic box office (17th-highest of the year). 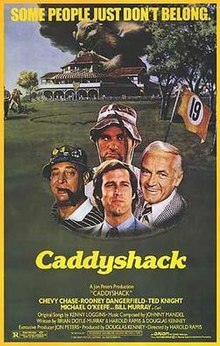 In 2000, Caddyshack was placed at number 71 on the American Film Institute’s (AFI) list of the 100 funniest American films. 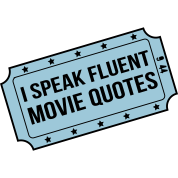 In 2005, a line from the movie was chosen by AFI for their list of the top 100 movie quotes from U.S. films. 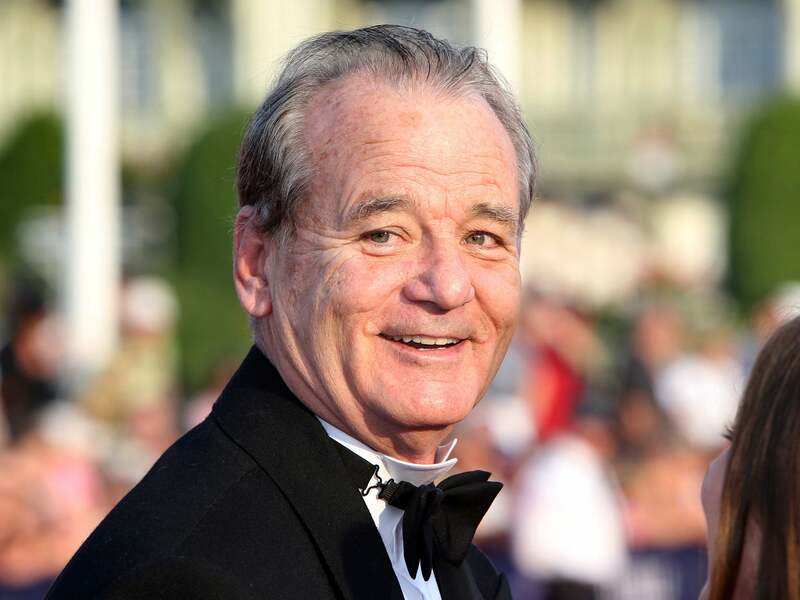 On October 23, 2016, Bill Murray was the recipient of The Kennedy Center Mark Twain Prize for American Humor. From the stage of The John F. Kennedy Center, a star-studded lineup saluted the achievements of this brilliant comedic trailblazer. There is no doubt that Gene Wilder was a brilliant writer and one of the funniest actors of our time. His role as Victor Frankenstein is a standout. His timing is perfect and this monologue is priceless. 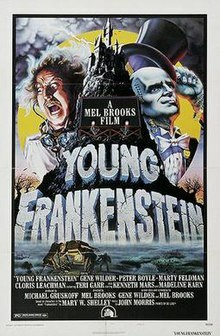 “Young Frankenstein” is the 1974 American horror comedy film directed by Mel Brooks and starring Gene Wilder as the title character, a descendant of the infamous Dr. Victor Frankenstein. The supporting cast includes Teri Garr, Cloris Leachman, Marty Feldman, Peter Boyle, Madeline Kahn, Kenneth Mars, Richard Haydn and Gene Hackman. The screenplay was written by Wilder and Brooks. The film is an affectionate parody of the classic horror film genre, in particular, the various film adaptations of Mary Shelley’s novel Frankenstein produced by Universal in the 1930s. Brooks adapted the film into a musical of the same name which premiered in Seattle at the Paramount Theatre and ran from August 7 to September 1, 2007. The musical opened on Broadway at the Foxwoods Theatre (then the Hilton Theatre) on November 8, 2007, and closed on January 4, 2009. 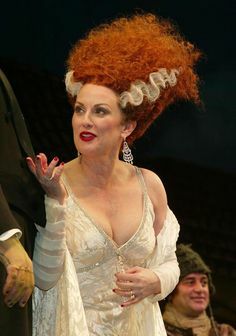 It was nominated for three Tony Awards and starred Tony winner Roger Bart, two-time Tony winner Sutton Foster, Tony & Olivier winner Shuler Hensley, two-time Emmy winner Megan Mullally (Will & Grace), three-time Tony nominee Christopher Fitzgerald, and two-time Tony & Emmy winner Andrea Martin (Saturday Night Live veteran). 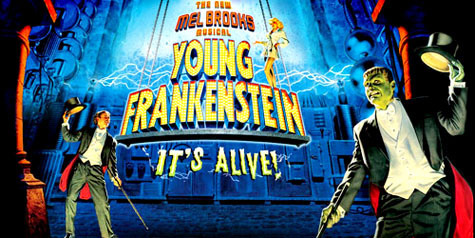 A critical favorite and box office smash, Young Frankenstein ranks No. 28 on Total Film magazine’s readers’ “List of the 50 Greatest Comedy Films of All Time”, No. 56 on Bravo TV’s list of the “100 Funniest Movies”, and No. 13 on the American Film Institute’s list of the 100 funniest American movies. In 2003, it was deemed “culturally, historically or aesthetically significant” by the United States National Film Preservation Board, and selected for preservation in the Library of Congress National Film Registry. On its 40th anniversary, Brooks considered it by far his finest (though not his funniest) film as a writer-director. I still find myself holding my breath listening to Quint’s (Robert Shaw) story. His vivid recount of his nightmare of the death with his shipmates is absolutely riveting! Wow, one of the most frightening scenes in the film. 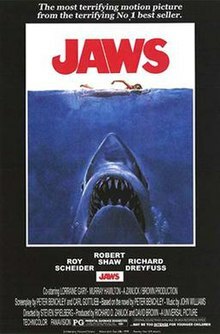 Now considered one of the greatest films ever made, Jaws was the prototypical summer blockbuster, with its release regarded as a watershed moment in motion picture history. This classic won three Academy Awards for Best Film Editing, Best Original Dramatic Score, and Best Sound (Robert Hoyt, Roger Heman, Earl Madery and John Carter). It was also nominated for Best Picture, losing to One Flew Over the Cuckoo’s Nest. Spielberg greatly resented the fact that he was not nominated for Best Director. Along with the Oscar, John Williams’s score won the Grammy Award, the BAFTA Award for Best Film Music, and the Golden Globe Award. To her Academy Award, Verna Fields added the American Cinema Editors’ Eddie Award for Best Edited Feature Film. This is the scene that not only features the memorable monologue but, introspection of just what it means. This reflection made the speech even more impactful for me. Stop and think about it. Pulp Fiction is the 1994 American neo-noir crime black comedy film written and directed by Quentin Tarantino, from a story by Tarantino and Roger Avary. Tarantino’s second feature film, it is iconic for its eclectic dialogue, ironic mix of humor and violence, nonlinear storyline, and a host of cinematic allusions and pop culture references. The music is as much a character in the movie as the actors. No film score was composed for Pulp Fiction; Quentin Tarantino instead used an eclectic assortment of surf music, rock and roll, soul, and pop songs. 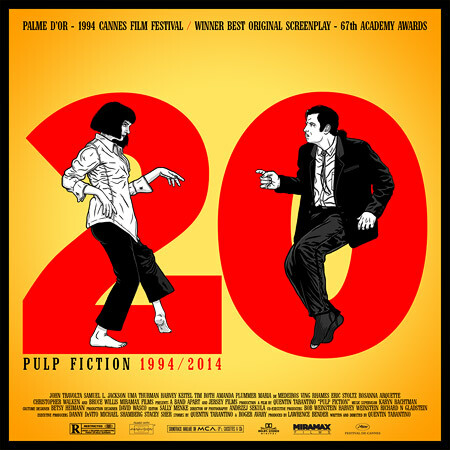 The soundtrack album, Music from the Motion Picture Pulp Fiction, was released along with the film in 1994. The album peaked on the Billboard 200 chart at number 21. The single, Urge Overkill’s cover of the Neil Diamond song “Girl, You’ll Be a Woman Soon”, reached number 59. These are some of my top classic movie moments. In the Comments, let me know some of yours! 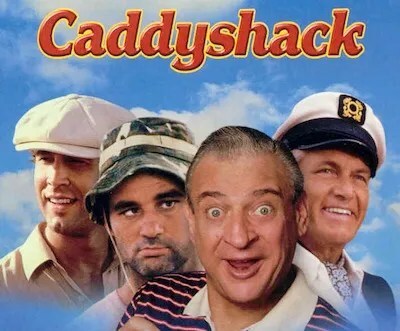 This entry was posted in Academy Award, Actors, Actresses, Classic Monster Movies, Comedy, Directors, Film History, Music, Oscars, Writers and tagged #Caddyshack, #iheartfillmblog, #Jaws, #movie quotes, #Pulp Fiction, #Quentin Tarantino, #Young Frankenstein, Bill Murray. Bookmark the permalink.